ATA is here to help with your car shipping process! GET A FREE SHIPPING QUOTE NOW. Auto Transport Association (ATA) was established to assist with the operation guide lines for all auto transport, car shipping, vehicle moving and vehicle relocation companies across Canada. The shipping procedures should be easy, reliable and fair. Auto Transport Association strives for a better auto transport industry. Cheap ways of transporting your vehicle. In our pursuit for consumer satisfaction, we strive to provide you with the best options. Car shipping can be a costly and confusing process for those with no experience. The Auto Transport Association will provide you with tips on how to save on auto shipping! Please review our videos and information on how to save money on your car shipping process. Click on our money saving tips to see more on economical ways to ship vehicles. Feedback from our customers’ experience is very helpful for our car shipping company search. Auto transport reviews is a great tool that helps you find the best auto shipping companies in the market. We look forward to consumer reviews! 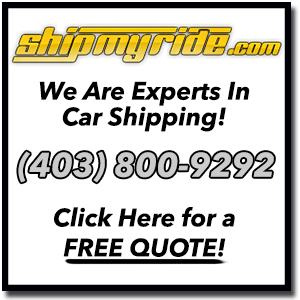 Click on our reviews to see what others had to say about their vehicle shipping companies. Information leads to a great car shipping experience. Knowing how the auto transport business works is crucial! Preparing for our car shipping process can be stressful and may seem overcomplicated. If you are feeling overwhelmed, we are here to help. Check out our car shipping process page to read about auto transport procedures. Car shipping tips are no longer a secret! New to auto shipping? Not to worry! There is much information including tips that can make your auto relocation easier! Click on vehicle transport recommendations to review these tips. We advise you to take precaution when dealing with non-certified car carriers. We encourage you to take a look at our site’s information on tips about auto transport across Canada, information in regards to vehicle shipping or transporting companies from British Columbia, Alberta, Manitoba, Saskatchewan, Ontario, Nova Scotia, Newfoundland, Prince Edward Island, Northwest Territories, Nunavut, Quebec or New Brunswick. We will be more than glad to assist you with your vehicle shipping process. Contact us today!